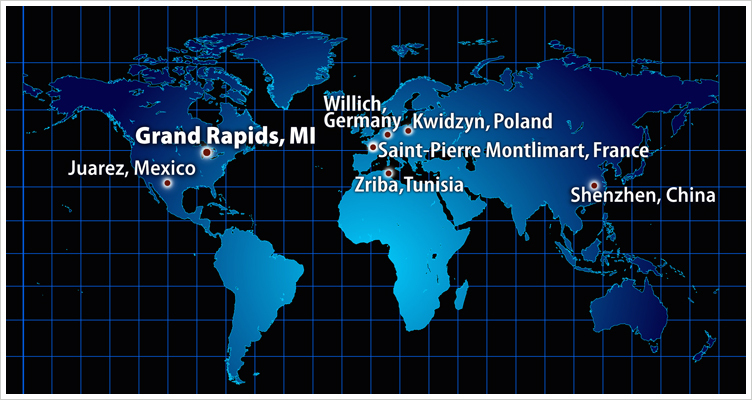 While Firstronic continues to lead the way in cost competitive, "Made in USA" manufacturing solutions out of its Grand Rapids, MI facility, it has expanded globally via its own facilities, strategic alliance and joint venture (JV) to support customers needing global manufacturing support. Customers with projects utilizing the strategic alliance or JV operations have a Firstronic program manager who ensures responsive, cost competitive support as well as the expertise of a nearshore solution for their Asian and European end markets. Facility size: 6700 sq. meters/70,000 sq. ft. Facility size: 7700 sq. meters/83,000 sq. ft.